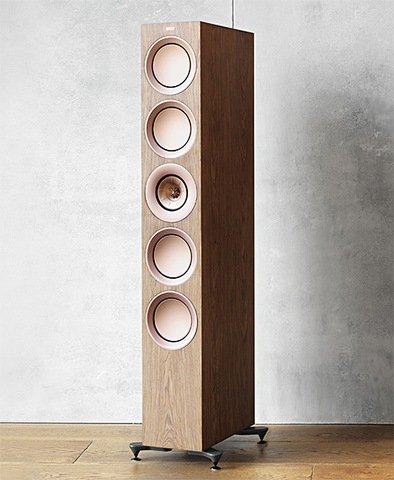 Boasting a hefty raft of technological innovations and design improvements, the new R Series draws on acoustic developments originally achieved in KEF’s flagship Reference Series, bringing authentically high-end design features and resulting high performance levels into this category for the first time. No fewer than 1,043 individual changes have been made to the new R Series. The latest 12th generation of KEF’s Uni-Q driver is at the heart of the new range, as well as a redesigned motor system to improve the midrange, and the area between the two drivers has been completely reimagined. The design of Uni-Q necessitates a narrow gap between the drivers, which can be excited by sound waves at certain frequencies. The new structure and damping system eliminates these resonances, resulting in an even more smooth, transparent and detailed treble performance than ever before. 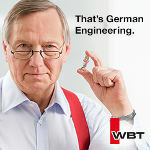 The Uni-Q Driver’s role as a waveguide is further expanded by KEF’s innovative ‘Shadow Flare’ trim ring design. The Shadow Flare is precision-designed to drastically reduce the diffraction effects that inevitably come from having a speaker with edges. This makes for a much clearer, more compelling and transparent sonic performance. 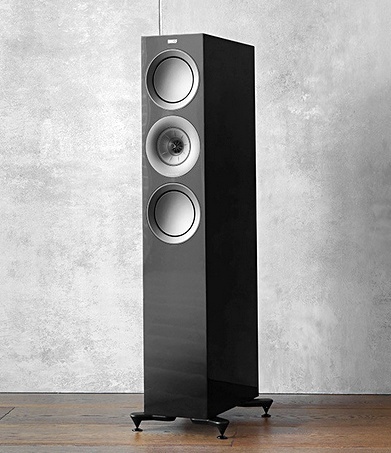 For the new R Series, KEF has completely re-worked the low-frequency drivers to improve performance still further, as well as managing to achieve this level of performance with smaller drivers than previously – enabling cabinets to be slimmer. The new bass drivers have greater excursion, as well as an improved low-distortion motor and a new, higher-rigidity cone. 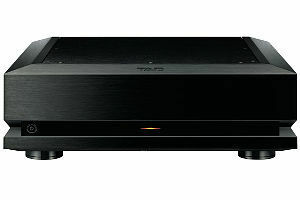 The result is a superb bass performance, with power, depth, speed and articulation in abundance. The new R Series also utilizes an ingenious internal bracing system called Constrained Layer Damping. 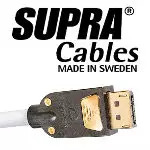 Originally developed for the award-winning LS50, the system uses internal braces which connect to the cabinet panels via a lossy interface (as opposed to being fixed rigidly). This is hugely effective at dissipating unwanted vibrations. Another highly effective innovation to be included in the design of the new R Series is the flexible port design. All the ports in the R Series speakers are precisely positioned, and feature innovative flexible walls, which prevent longitudinal resonances from coloring the midrange. KEF has also used computational dynamics to very precisely calculate the flare and profile of each port, ensuring that no unwanted resonances appear that might color the low or midrange frequencies. 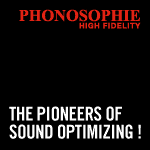 The result is the elimination of unintended resonance – giving you the pure sound of the artist. KEF’s R Series now also benefits from a completely redesigned, suede-like, microfiber grille design, which removes the performance-compromising thick frame of most speaker grilles. The grille utilizes 1801 precision-cut holes for each driver, thus minimizing the traditional compromise between great sound and driver protection. 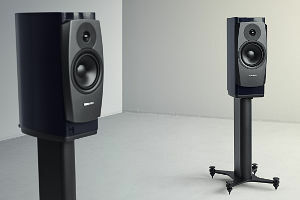 The new R Series consists of the R11 ($2,499.99 each), R7 ($1,899.99 each) and R5 ($1,399.99 each) floor standers, the R3 ($1,999.99 pair) stand mount, the R2c ($1,199.99 each) center speaker and the R8a ($1,399.99 pair) Dolby Atmos-compatible speakers. All the loudspeakers in the range come in three contemporary finishes: Black Gloss, White Gloss and Walnut. Available beginning September 6th, 2018 through www.kefdirect.com and a variety of retailers including Magnolia Design Center (www.magnoliaav.com), the new R Series displays KEF’s constant commitment to improvement and evolution in audio design. Using the very latest technologies and components to prevent unwanted resonances at every level of the loudspeakers’ design, the new R Series represents a new standard of performance at this level of the market.